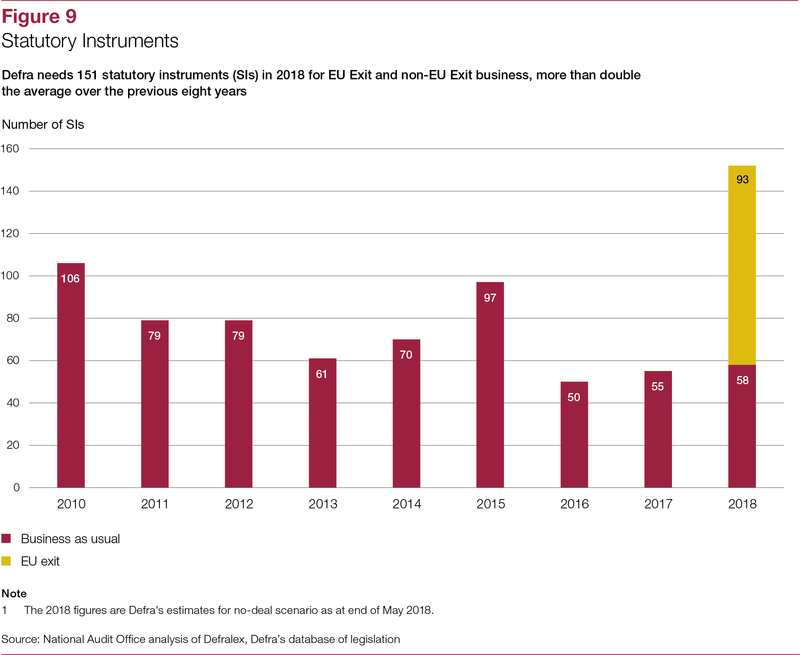 In March 2019, the UK is set to leave the EU. 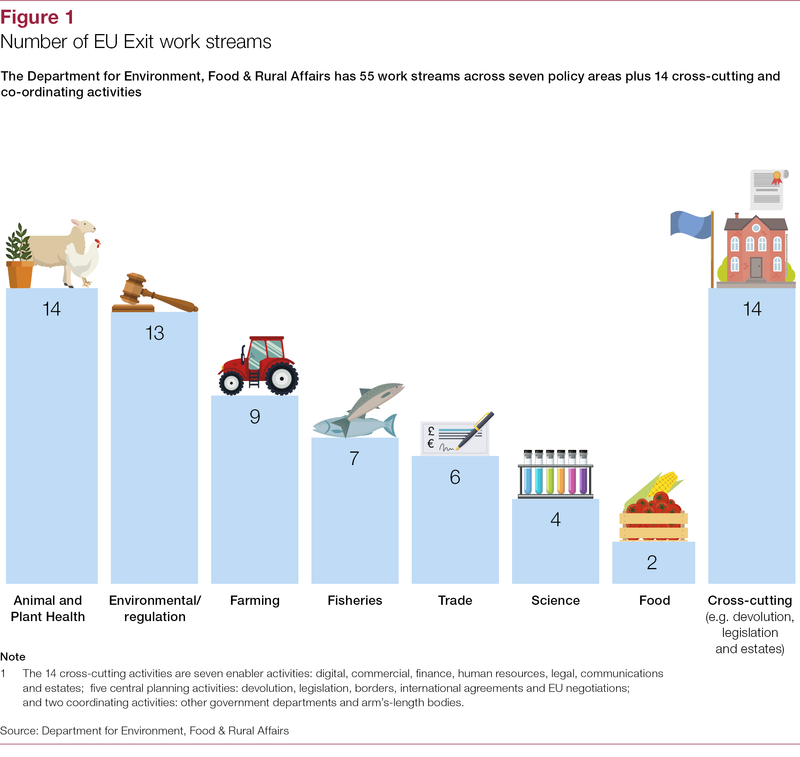 The Department for Environment, Food & Rural Affairs (Defra) is one of the government departments most affected by EU Exit. 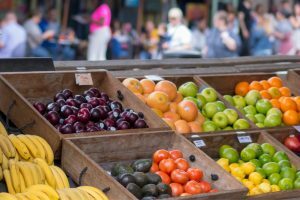 Defra’s portfolio is very varied, covering the chemical and agri-food industries as well as crucial policy areas such as agriculture, fisheries and the environment. 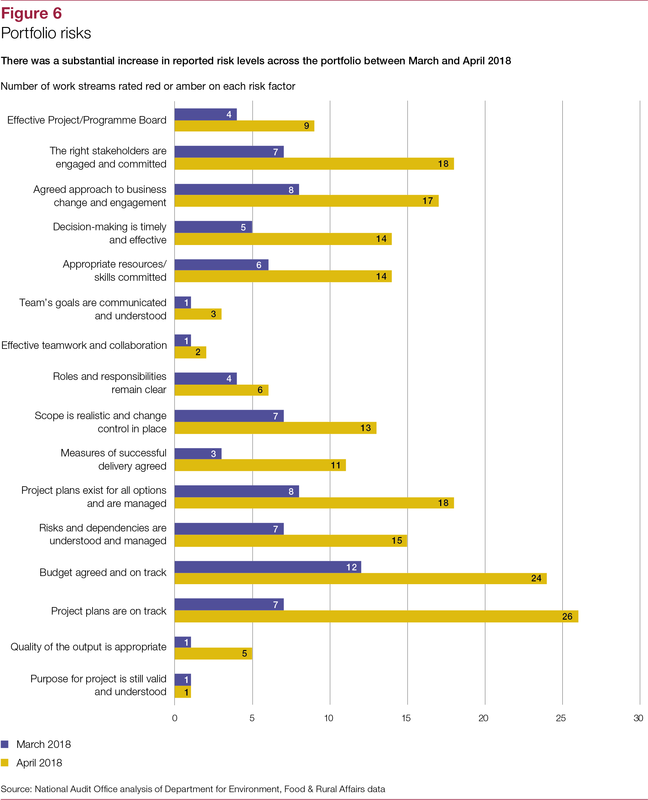 In common with other government departments, it has organised its portfolio into individual ‘work streams’. 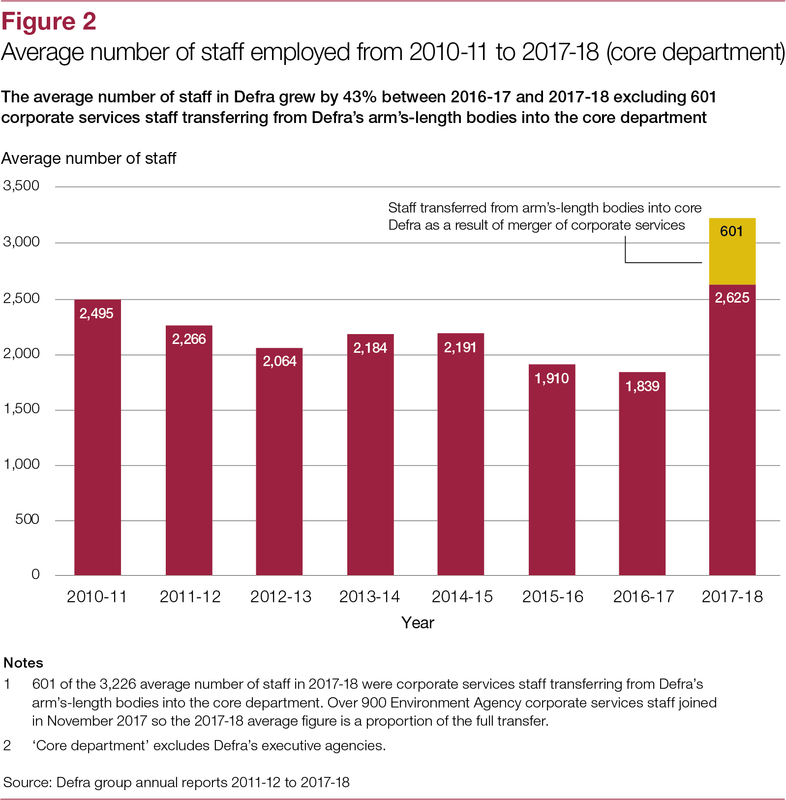 With 55 work streams and 4 cross-cutting and co-ordinating activities, it has the second largest number of work streams of any department. 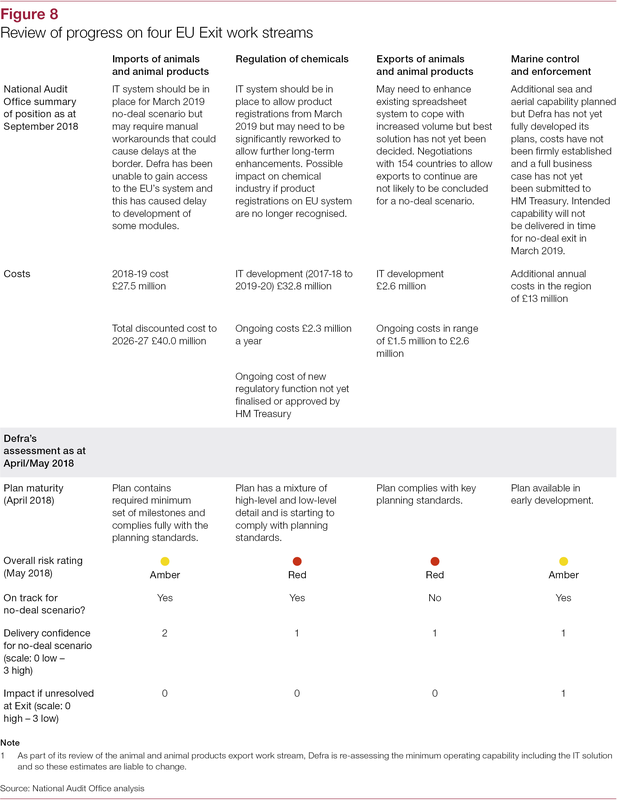 In addition, it has to draft a large volume of legislation, contribute to the government’s negotiations and work closely with the devolved administrations. 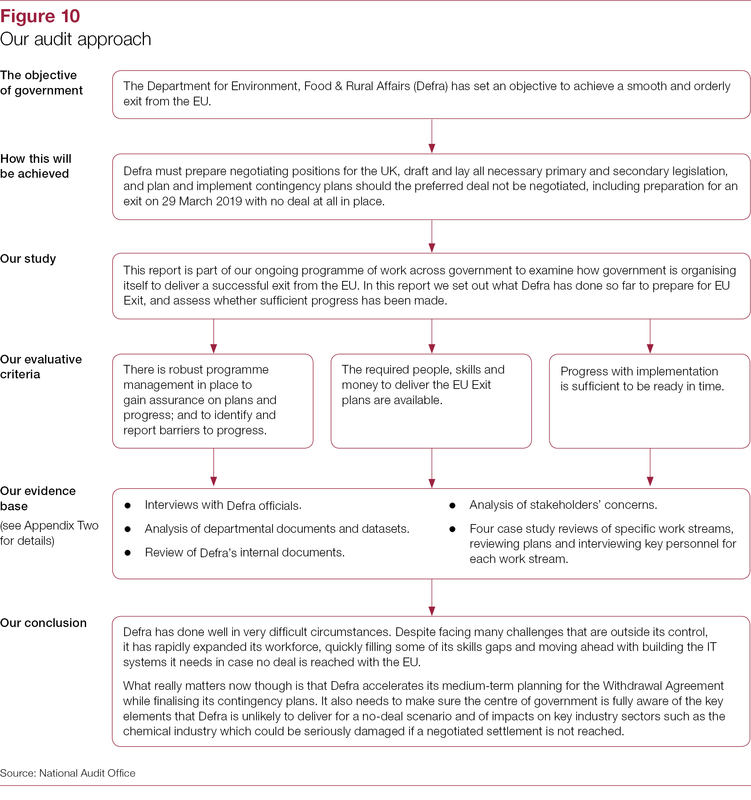 This is our second report on the progress Defra has made in preparing for EU Exit. 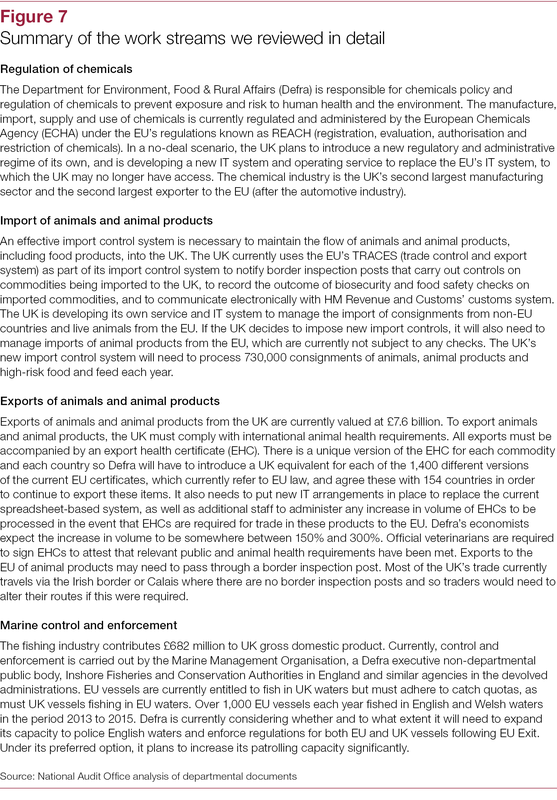 As well as looking at how Defra is managing its overall portfolio, we have carried out a detailed analysis of progress on four of its work streams covering environmental regulations for chemicals, the import and exports of animals and animal products and control of English fishing waters. 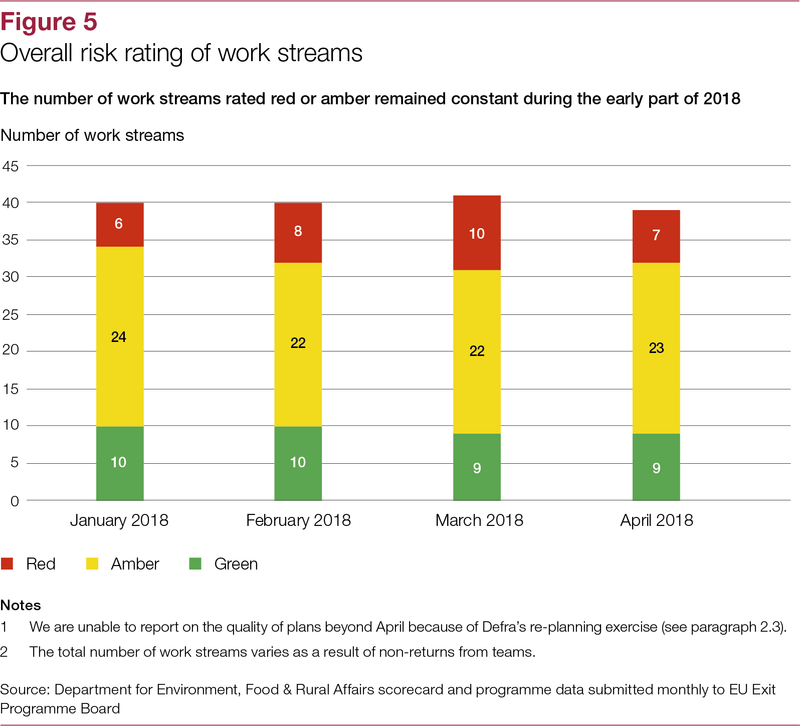 These work streams were selected to cover the range of changes Defra must make, including establishing new regulatory functions and services, changes to its business practices and processes, developing supporting IT systems and working with third parties. 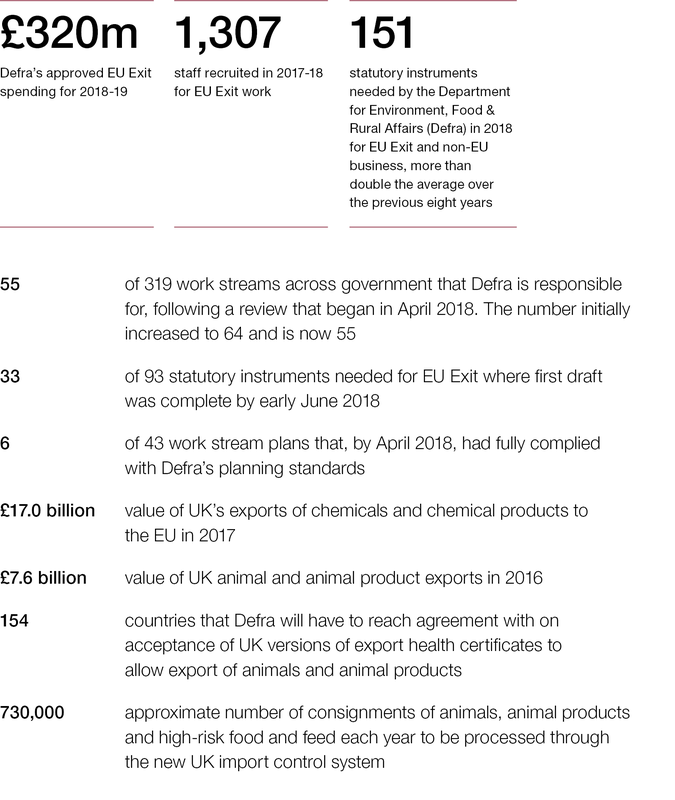 Defra has done well in very difficult circumstances. 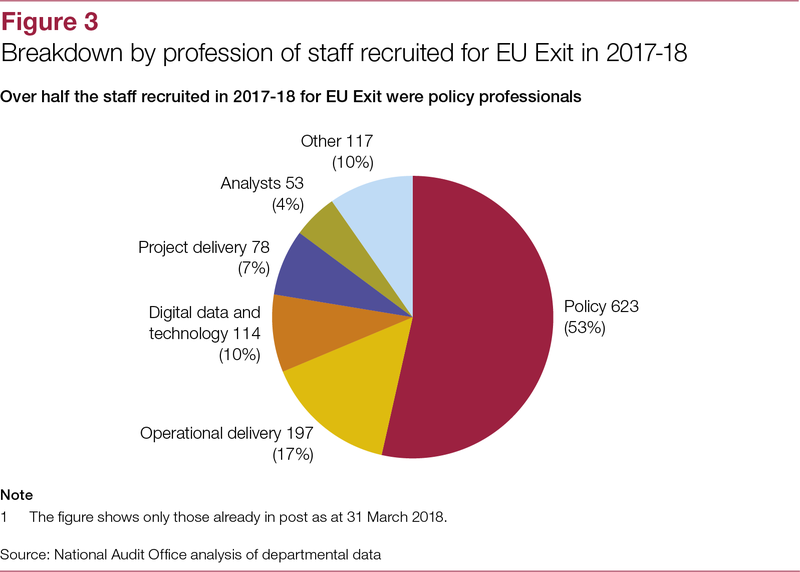 Despite facing many challenges that are outside its control, it has rapidly expanded its workforce, quickly filling some of its skills gaps and moving ahead with building the IT systems it needs in case no deal is reached with the EU. 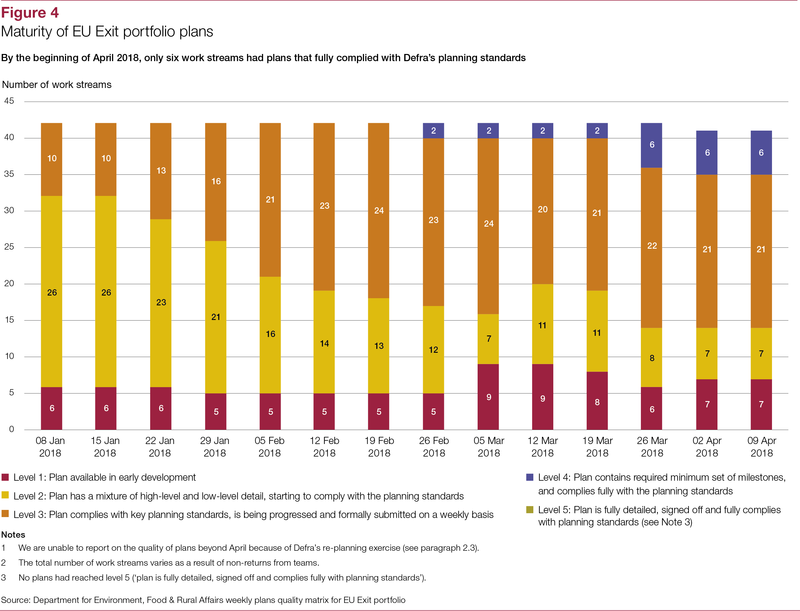 What really matters now though is that Defra accelerates its medium-term planning for the Withdrawal Agreement while finalising its contingency plans. 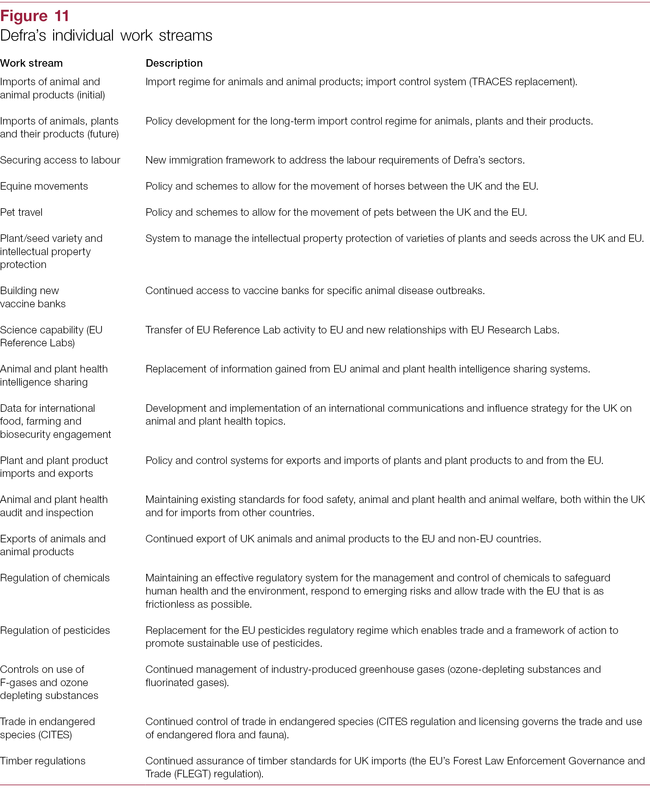 It also needs to make sure that the centre of government is fully aware of the key elements that Defra is unlikely to deliver for a no-deal scenario and of impacts on key industry sectors, such as the chemical industry, which could be seriously damaged if a negotiated settlement is not reached.